Time still exists to meet them children who are currently in the USA staying with Host Families. The children leave for Colombia August 29. ***Colombia will not allow us to show full-face photos of the children. To view photos, please register with Kidsave at: http://www.kidsave.org/meet-the-kids-application/ The photos used in this article are taken at angles which have been approved, and showcase the children in many of the activities that they have enjoyed this summer! If you are looking to adopt an older child or know anyone who is, time is of the essence to meet the visiting different communities in the U.S. from Colombia as part of Kidsave's Summer Miracles Program. They only have one more week left in their visit and for many of these kids, it might be their last opportunity at finding their forever families. While photos are removed from the article below, the children can be viewed on the Kidsave website in the gallery- http://www.kidsave.org/orphans-for-adoption/summer-miracle-kids-gallery/. The children will be at events this weekend and private meetings can be arranged by Kidsave's volunteers and staff whose contact information is included below. For a more detailed look at the events they will be attending this weekend check out the events calendar http://www.kidsave.org/summer-miracles-events/. Please take a minute to consider whether these children would be right in your home or whether you know someone in their communities with whom you can share information about them. Brother and sister – Danilo and Angelica are amazing kids. It is amazing they don’t have a family adopting them yet. They are very kind to each other. Danilo (11) is eager and ready to learn anything and everything! He is very observant and wants to know how to do everything his host family does! He especially loves music and really wants to learn how to play the guitar, piano, and drums. Danilo is active and likes to keep going, though he can also quietly work on Legos and other challenging activities. Danilo also has a great sense of humor: he gets jokes and makes them too! He is working at learning English and often asks his host how to say certain phrases. Angelica (12) is very helpful and attentive. She likes to help her host do whatever needs doing around the house. She is very thoughtful and often offers to help. She has a wonderful laugh and though she is more reserved than her brother at first, she really enjoys playing and having fun! Her smile lights up the room. Both children really enjoy singing and seem to have a strong Christian background. Danilo and Angelica are amazing, wonderful children who are a joy to be around! The darling duo is in Chicago. 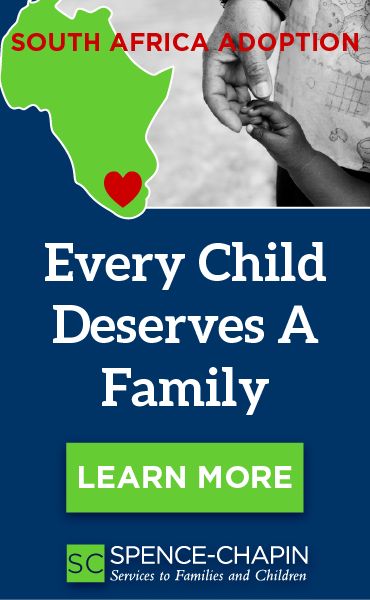 Contact Kelly Abell at kellya@kidsave.org to meet them! Camilo (12) is a strong leader who loves playing soccer, drawing, and telling jokes. At school in Colombia he does well in computers, physical education, math, and English. He is patient with young children and even taught his host family’s daughter a secret handshake. Camilo adapts very well to new environments and so far, while he has been in the U.S. he has enjoyed playing with dogs, bowling, swimming, and eating Chinese food! His host family says, "He has been smiling and laughing since he arrived and is full of life. Whenever he plays soccer he pretends to kick the ball and fakes out the goalie. He then laughs hysterically!" Camilo hopes for a family built out of mutual understanding, respect, and love. He is talkative, supportive, spontaneous, and cheerful and he likes to visit new places and people. Diego (12) is an affectionate, calm, and cheerful boy who loves playing soccer and giving hugs. He loves eating ketchup! Diego also loves swimming and had a really good time at Adventure land! His host family had a funny story to share about him: "After a few days of being here Diego woke before everyone else and went into bed next to our son and whispered "playstation." It was so funny because he had barely spoken to us but he figured that out fast. We've enjoyed listening to his favorite music and him showing us how to dance. He is such a sweet boy." Contact Steve Hudson at pastorsteve@timberlineonline.org to meet Camilo and Diego! Brother and sister – Steven and Maria have been enjoying their summer in Tennessee although for both it was interrupted with a case of chicken pox. Both are on the mend now and are still in need of a family to adopt them. Steven (10) is a social and respectful boy who loves running, baking cupcakes and muffins, and making people laugh. Maria (13) is an adaptable and loving girl who always helps out around the house, and enjoys riding a scooter and playing Uno. There was the time we were at an outdoor shopping plaza and Steven went over to look at the fountain and then came running back all exciting calling his sister’s name and gesturing toward the foundation. So we all went over to see. He was pointing down to the coins in it. He was leaning over trying to get the coins, but they were out of his reach. My son thought this was hilarious. I went back to the car to get hats for everyone and by the time I get back all three of them are in the fountain! Steven is even managing to pick up coins with his toes. I'm gesturing and telling everyone to get out of the fountain. I explain that he has to put them back, people throw them in and make wishes. He has got handfuls of coins by this time and is putting them in his pockets. I insist they have to be put back, getting them out of his pockets. Then Alejandra points and says, "sombrero", I remove his hat and a bunch of coins come tumbling down! That gets everyone, including Steven, laughing. We all made wishes as we threw them back in. There were only two shiny pennies (the others were dull) he refused to part with, until I traded him for pennies of my own. Contact Delta@kidsave.org for more information about Steven and Maria. Sisters – Helen and Juliana are delightful girls. They truly deserve a family. Helen (12), is a young, independent girl who enjoys the presence of others and building strong relationships. Helen's caretakers describe her as a "good listener, communicates well, is understanding of instructions and following house rules, and shows respect to other children and adults." She is a bright student and enjoys when she is recognized for her outstanding grades. Helen has a passion for arts/crafts, gymnastics and outdoor activities. Juliana (13) is a lot like her younger sister. She is a great communicator and has no problem building stable relationships with others. Juliana’s qualities of independence and respectful manners have made her comfortable in expressing her emotions. Her bubbly personality is expressed through her great interest in dancing, singing, and drawing. Contact Delta Kirkland at deltak@kidsave.org to meet Helen and Juliana or Sebastian! Nubia (12) is an easy going, friendly, and patient girl. Her smile is bright and warm. In many ways she is a 'typical teenager' she likes to pick out her own clothes, do her own hair, and be independent, loves musics, athletics, animals, and chocolate. An active girl, Nubia also enjoys bike riding, drawing, and playing soccer and basketball. According to her host family, "they found a Comcast radio station that plays tons of Colombian music and she knows all the words to all the songs." She has also been learning how to play the drums and she loved going to a drum lesson with her host family. She performs well academically, especially in technology, PE, social studies, and ethics. Nubia keeps her room organized, helps out around the house, and makes friends easily.. Her host said, "I was a little nervous when I took her to camp, but she came out all smiles having made half-a-dozen new best friends." Contact Elizabeth Spier at elizabeths@kidsave.org to meet Nubia! These three girls are darling. They are very close and our goal is to keep them together. Monica (13) is the eldest sister and wants to be a veterinarian. Her host family has cats – and Monica loves taking care of them. She is a tender nurturer, and is very kind to animals. Monica’s dreams of even going to college won’t be achieved if she grows up in government care. She is an extraordinary girl and needs a chance. Diana (12) is the middle sister and she loves art! Diana wants to be an art teacher, and she is usually the one who pulls out a craft to fill her time. She is a hands-on kid and very good with other people. Jeimy (10) is the youngest and wants to be a doctor. Her dreams have a long way to go before being fulfilled – and we hope that we can keep Jeimy’s dreams alive, whatever they may be. Their host family says, "These girls are all so loving and expressive. They are ready with a smile and a hug. These girls are so terrific, and any family that can keep them together would be so blessed to have them!" Juan Camilo (12) is a cheerful, curious, and friendly boy who loves reading, drawing, playing soccer, and playing the soprano saxophone. His giggle is contagious! This boy is easy going and always ready for fun. He is a sheer delight to be around. WATCH: Juan Camilo on the Fox DC news! He was visiting the zoo. Julio (12) is cheerful, affectionate and calm. He loves to laugh, play soccer, and ride bicycles. Julio is a very strong soccer player and is a leader on his team. He is a strong student. Julio is compassionate and responsible but does not enjoy cleaning. Neila (11) loves riding bikes and taking bubble baths and her host says she "is a great kid - playful, curious, and kind." WATCH: Neila on the Fox DC news! She was visiting the zoo. Esperanza (14) was in the US on a visit last summer and didn't find a family. Kidsave brought her back this year for a second chance because she is such a sweet girl. Last year she was quiet and somewhat shy, but this year she is open and engaged. Please help us find this wonderful 14-year-old a family. Her host family says she "Jumps into everything...She is just great with children...While quiet in the morning she is a chatterbox by the time she finishes camp. Esperanza enjoys the little fun things in life ...chocolate...getting her face painted...eating ice cream on a hot day... She shares what she has with others." Please don't wait. Help us find Esperanza a family today. Contact Cathee Gelman at catheeg@kidsave.org to meet Esperanza! Kidsave's Summer Miracles Program finds families to older orphans age 10 to 13 who have little chance to be adopted in their own countries. 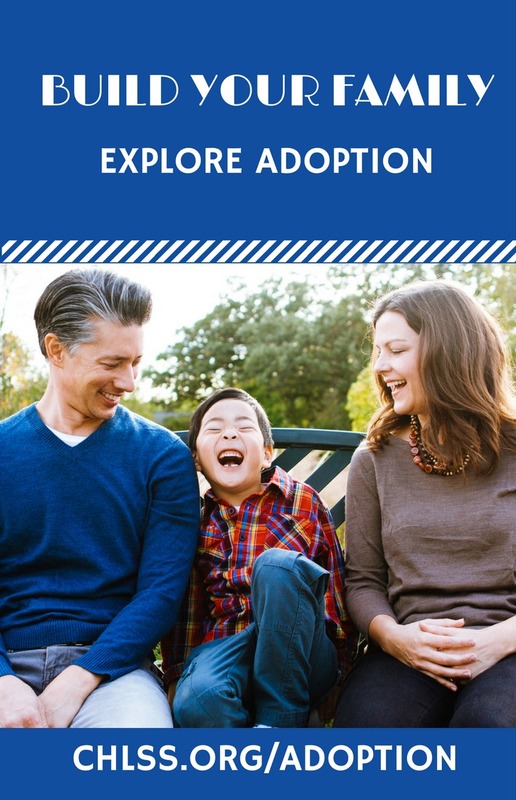 Children aged 10-14 stay with host families who give the children the opportunity to experience family life, attend summer camp and meet people interested in adoption. Kidsave hosts are available throughout the visit to work with Kidsave staff and volunteers to help find the children adoptive families. The children come from foster homes and orphanages throughout Colombia. 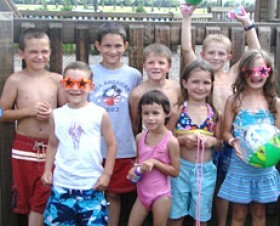 If you are interested in hosting a child next summer learn more at http://www.kidsave.org/programs/orphan-hosting/.